Cancer's sensuality and romantic imagination intrigues inquiring Sagittarius. But Sagittarius is both venturesome and cerebral while Cancer is cautious and emotional. And this pair will never understand each other. 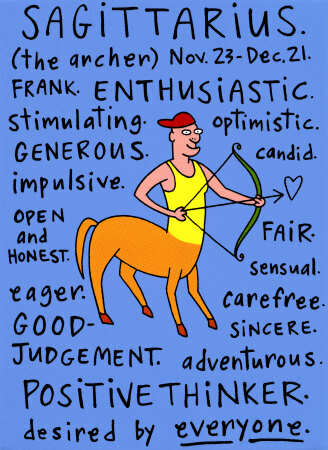 Sagittarius can't supply the security and stability Cancer needs or endure Cancer's moodiness and jealousy. Without even being aware of it, blunt Sagittarius wounds sensitive Cancer at every turn. When Sagittarius seeks outside stimulation away from home, Cancer nags and whines and tries to hold on tighter. They'd be better as just friends.